"We've been very careless in simply presuming that chemicals are innocent until proven guilty," says Dr. Philip Landrigan. 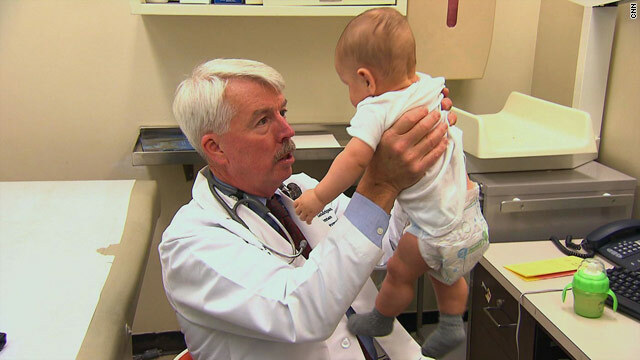 New York (CNN) -- As a young doctor with the Centers for Disease Control and Prevention, Philip Landrigan's job was to chase down epidemics. He'd gone after measles in the Southwest and smallpox in Nigeria. Then the CDC sent him to Texas for a lead poisoning epidemic. "I was told to find out what was the cause of the epidemic and to solve it," Landrigan recalled. When Landrigan and CDC colleague Dr. Stephen H. Gehlbach arrived in El Paso in 1970, they agreed the prime suspect was a local smelter, which had emitted 1,000 tons of lead into the atmosphere in the previous three years. A smelter extracts metal from its ore through heating and melting. So the two young doctors got a map, drew three concentric circles centered on the smelter and started taking blood from children in each of the areas. As they suspected, the children closest to the smelter had the highest blood-lead levels; the children farthest away, the lowest. "There really was a bulls-eye distribution of lead poisoning in El Paso with the epicenter right at the smelter," Landrigan said. What they found next contributed to new medical thinking about exposure to toxic chemicals -- and helped spur bans on lead-based paint and leaded gasoline. At the time, poisoning was thought to be all or nothing. If you weren't showing symptoms like vomiting, muscle weakness or convulsions, you were fine. But Landrigan and the CDC team found that even children in the outer circle of their map were profoundly affected by lead exposure. "At lower levels of exposures, it still caused loss of intelligence, disruptive behavior, a whole spectrum of damage to the brain and nervous system," Landrigan said. This new type of poisoning became known as "subclinical" toxicity because the effects were never severe enough to warrant a trip to the doctor. 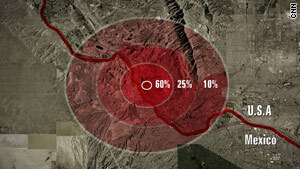 Concentric rings showed lead poisoning distribution around an El Paso lead smelter. Landrigan's research was published around the same time as studies by Dr. Herbert Needleman, then at Harvard, who was also looking at the effects of lead exposure on IQ in children. Their research reverberated through the medical establishment and influenced policymakers in the nation's capital. In 1973, the Environmental Protection Agency issued new regulations phasing lead out of gasoline. Lead had been used as an additive designed to improve engine performance, and at the time, car emissions produced 200,000 tons of lead a year. In 1978, the Consumer Product Safety Commission banned lead-based paint. Since then, the percentage of children aged 1 to 5 with what the CDC considers dangerously high levels of lead in their blood has declined from 77.8 percent to 1.6 percent, according to the most recent figures available. During his time in El Paso, Landrigan found his calling. He is now director of the Children's Environmental Health Center at Mount Sinai Medical Center in New York. He's also a principal investigator with the National Children's Study, a 21-year, federal project just getting under way designed to give the most detailed picture to date on how the environment affects health. When Landrigan flew to El Paso in 1970, 40 milligrams of lead per deciliter of blood was the standard for lead poisoning. Now, the CDC says 10 milligrams of lead per deciliter constitutes lead poisoning and considers no amount of lead completely safe. Landrigan sees the story of lead as a cautionary tale, and he's critical of the current federal law governing toxic substances, which does not require testing to show a chemical is safe before it's put into consumer products. "We've been very careless in simply presuming that chemicals are innocent until proving guilty," Landrigan said. "What typically will happen is smart chemists will develop a new product, see that it has useful properties, put it into consumer goods and the chemical then gets disseminated very widely in the marketplace," He said. "And typically 10 or 15 or 20 years or more later, scientists begin to realize that this chemical is really quite toxic."